TERMIGNONI made in Perdosa, Italy was founded by Mr. Luigi Termignoniin in 1969. TERMIGNONI S.p.A. is a top European company that designs and creates motorbike exhaust systems for race and road use at the highest levels. The experience gained in these years on the race tracks has been transferred also to the aftermarket products giving a high level performance. The company's object is to develop exhaust systems that offer always an increase of performances in terms of power and/or weight. The R&D department that create the racing exhaust systems for MotoGP, Moto2 and SBK, is the same department that create for the aftermarket. 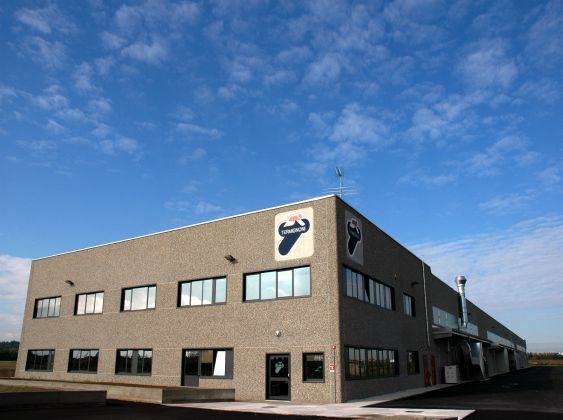 +-50 employees operate in a new and modern building, of 7.000 square meters located in Predosa (AL), a small town with a strategically position; only one hour by car from three of the main cities in northern Italy: Turin, Milan and Genoa. The exhaust systems are all created, from the technical project until the final shipment, in TERMIGNONI, with the use of materials like Stainless Steel, Alloy, Carbon, Titanium and Inconel (Inconel is only used for some racing products). 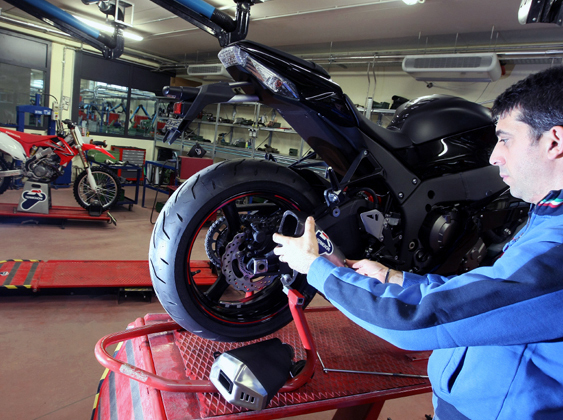 The quality of the TERMIGNONI production is certified by T.U.V. UNI EN ISO 9001:2008 to offer to all the customers, racing teams and common bikers, always its best. 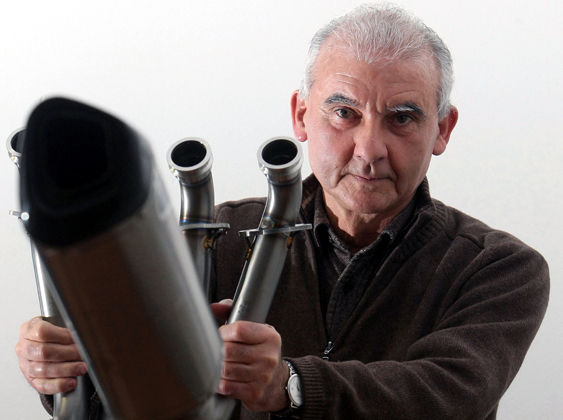 The R&D Department create the prototypes of the exhaust systems for the racing and the aftermarket. The Racing Department and the Production Department starts to process basing on the technical information received by the R&D Department. High professional employees with maniacal attention for also the smallest details, use the most exclusive materials and the latest technological variety. These are the basic elements to realize the exhaust systems dedicated for racing, true artworks created for only one purpose: the victory. Since 1969 TERMIGNONI trademark means victory and is the choice of champion rider's with its 8 MotoGP an 16 SBK world titles counted amongst only a few of their total of 52 World Titles, shared between riders and constructors achievements, ranging from the Endurance races to the Paris - Dakar rally raid. The performance and sound advantages of Termignoni is widely recognised by Sports and Super biker owners across the world.